Inquiring About a Window Blinds in Wekiva Springs? Wekevia Springs has a population of over 23,000 people and is part of the metropolitan area of Orlando. It’s filled with families, families that want their privacy in their own homes. If you want more privacy then call American Blinds and Shutters Outlet. The cost of new interior shutters for the home varies. There are lots of factors that will determine the cost, but once they’re on, they make the perfect additions to the home. 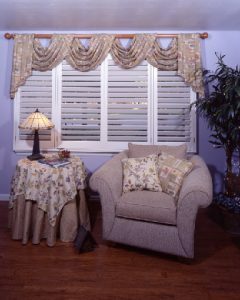 Give your windows something special with shutters. Of course if you don’t plan on installing them on your own, you are going to have to factor in labor costs. Installations and labor make up over 50% of the cost, but if you want them looking professionally installed this is the best way. Controls – You can control your blinds in different ways. For example, when going with the roller type, the controls are located at the top. If you don’t have a long arm reach, it can be frustrating. Materials – Quality comes from the materials in which the blinds are created from. You’ll find that there are lots of viable options, but the materials you pick may also dictate how they function. Panel direction – The directions in which the blinds go in can become a major problem. For example, if vertical blinds get hit with a wind gust, they can damage very easily. When faced with the decision to either have blinds or curtains on your windows, be sure and educate yourself first. You’ll find that there are lots of benefits to having custom drapery & curtains installed in your windows. One of the ways in which custom curtains are beneficial to you is they are crafted from your favorite materials. Did grandma leave behind a chest full of her favorite fabrics? Well you can have custom curtains deigned from them. That fabric won’t go to waste. All you have to do is call 407-492-1009. We’ll do the rest. You won’t believe how perfect we can get your curtains. We’ll help give your home that new look you are needing simply by creating curtains for your windows. Call our shutter company today. Are you in need of window blinds for your Wekiva home? Call 407-492-1009 or complete our online request form to get a consultation and see our selection.